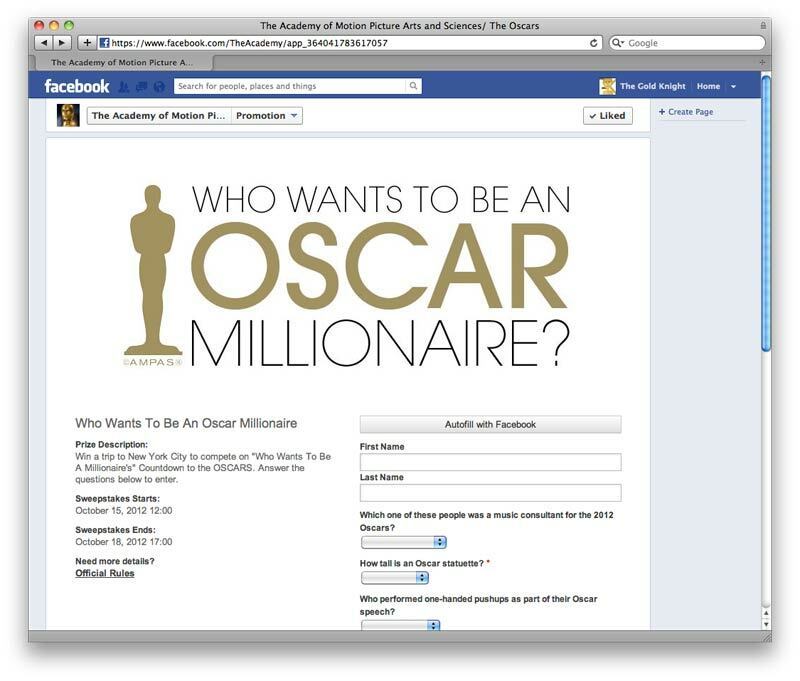 Academy offers last-minute trivia contest for trip to New York City for "Who Wants to be a Millonaire." Sweepstakes end Oct. 18. Everyone loves contests. And it appears the Academy is no different. On Tuesday, the Academy shared details for its latest contest on its Facebook and Twitter accounts. Entrants who successfully answer three trivia questions are entered to win a trip to New York City to compete on “Who Wants To Be A Millionaire's” Countdown to the OSCARS. The last-minute sweepstakes started Monday, Oct 15, and ends Thursday, Oct. 18, 2012. Contest includes airfare and hotel accommodations, for U.S. residents only who are at least 18 years old. Any potential winner must be available for a qualifying phone call on Oct. 19 between noon and 3 p.m. PT. 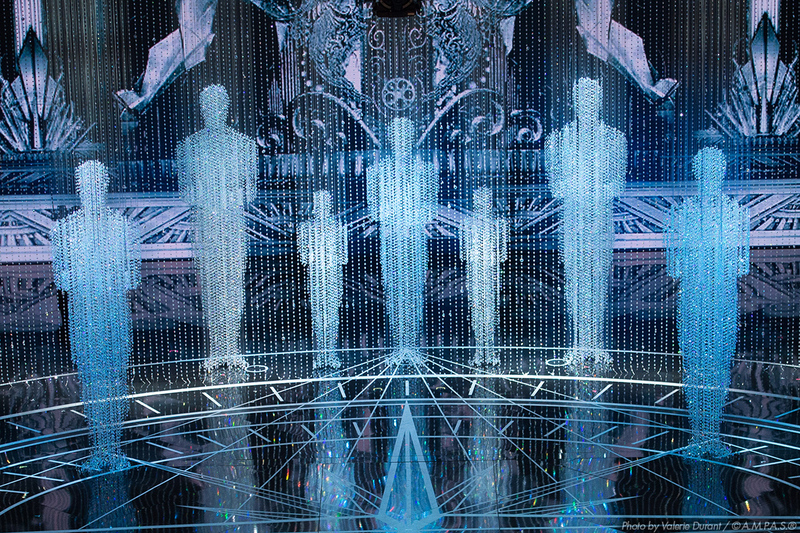 The winner’s name will be posted on the Academy’s Facebook wall on or about Oct. 19. The tentative taping date for the prize winner is set between Oct. 29 and Nov. 7, 2012, but may change. The Academy announced the winner of the contest on its Facebook on Oct. 23: "We officially have a winner of our lottery. Big congrats go to Josh Darby! Thanks to everyone who played." The Gold Knight will keep you posted on Darby's cross-country journey to NYC for "Who Wants to Be a Millionaire."